All of our courses are designed to meet your individual state standards. This three-day series focuses on effective teaching and learning required to meet the increased rigor of state standards and current assessments. We align what educators already know with what they need to learn about developing the habits of mind their students need for success with mathematics. Participants will leave each day of this three-day course with instructional skills and strategies they can use in their classrooms immediately. Students need to build a deep understanding of mathematics and use that understanding to reason about problems, make sense of new learning, and communicate their thinking to others. This full-day course is designed to introduce participants to the processes and habits of mind students need to develop, with particular emphasis on the role of reasoning and discourse in mathematics. During this course, teachers will engage in reasoning and discourse, and discuss the implications for their students. In addition, they analyze the complexity of mathematical tasks and consider strategies for transforming grade-level tasks to increase the level of rigor. Participants gain a deeper understanding of instruction of procedural fluency beyond merely the ability to memorize procedures and apply them with little understanding. In addition, teachers will learn strategies to support students in representing ideas visually, symbolically, and verbally, as well as strategies for helping students make connections between these different representations. Students need to make sense of problems and persevere in solving them. Teachers’ instructional practices directly affect students’ confidence in their mathematical skills and their willingness to persevere to solve difficult problems. This full-day course provides teachers with a deeper look at building perseverance in problem solving and applying mathematics to everyday situations. Participants will learn strategies for engaging students in appropriate levels of constructive struggle, thus allowing all students to approach mathematics with confidence and competence. Teachers learn how to maintain the integrity of high-level tasks by structuring lessons to allow students to make connections and develop new mathematical knowledge. This three-day series focuses on effective teaching and learning required to meet the increased rigor of TEKS Mathematical Process Standards. We align what educators already know with what they need to learn about developing the student expertise in the processes and habits of mind outlined in the standards and needed for success with mathematics. Participants will leave the institute with instructional skills and strategies they can use in their classrooms immediately. Designed to fundamentally change the way teachers think about math and how they teach their students, this relevant, engaging, 4-or 5-day institute brings Mathematical Habits of Mind to life. Through hands-on, research-based activities, teachers deepen their own content knowledge while learning how to develop students’ number sense, computation, and problem-solving skills, as well as their abilities to think and reason. This full-day course refines participants’ vision for their role as instructional leaders of mathematics. Participants increase their understanding of and ability to communicate about current state standards. They engage in mathematical tasks and discover the use of tools and structures to lead stakeholders toward effective mathematics teaching and learning. This three-day course focuses on Number and Operations in Base Ten for students in grades K–5. The emphasis of this course is on developing a foundation of understanding of multiplication and division, and on extending understanding of place value with whole numbers to decimals. Experiences and discussions help participants discern the role that place-value understanding and properties of operations. Course 1 of 2. This two-day course focuses on the priority domain of Number and Operations–Fractions for students in Grades 3-5. The emphasis of the course is on building understanding of fractions as numbers and connections between whole number knowledge and fraction knowledge. The strategies and foundation developed in this course are prerequisites for the further work with fraction computation that is developed in Course 2, Making Sense of Fraction Computation. Course 2 of 2. This two-day course focuses on the priority domain of Number and Operations–Fractions for students in Grades 3-5. The emphasis of the course is on building understanding of fraction computation. In this course, participants learn to build on students’ understanding of whole number operations to make sense of fraction computation. Strategies that support the development of fraction operation sense are highlighted. This two-day course explores proportionality, proportional relationships, and proportional reasoning, acknowledging that the ability to reason proportionally is at the forefront of the middle school mathematics curriculum. The course supports teachers with strategies to help make this content accessible to all students. This course focuses on how students develop algebraic reasoning and an understanding of the different representations for functions. Teachers and coaches explore the progression of middle school content that develops an understanding of expressions, equations, and functions and prepares students for success in high school and beyond. This two-day course focuses on the domain of Measurement and Data for students in grades K–5. The emphasis of this course is on developing understanding of the natural progressions in thinking that children pass through as they develop basic concepts of measurement. Experiences and discussions help participants understand the importance of providing students with many and varied measurement tasks. The tasks must be meaningful and require students to gather measurement data for a purpose or in connection with clarifying important ideas. Data investigations provide the opportunity to consider the components and skills involved with collecting, representing, and interpreting data. This course focuses on content from the domain of Geometry and connects to expectations in the geometric measurement content cluster from the domain of Measurement and Data. Participants gain an understanding of the levels of geometric thinking, the important measurement decisions students need opportunities to make, and types of learning experiences that promote rigorous thinking. This course focuses on geometry experiences that formalize high school students’ geometry work in elementary and middle school by utilizing more precise definitions and developing careful proofs. During the course participants engage in activities devoted to plane Euclidean geometry, both synthetically (without coordinates) and analytically (with coordinates). This high school course focuses on math experiences that connect algebra, geometry, and statistics. Participants explore content designed to deepen and extend understanding of linear relationships. This includes engaging in experiences that contrast linear and exponential functions as well as applying linear models to data that exhibit a linear trend. During this course, participants also investigate how emphasizing properties and theorems about congruent shapes deepen students’ geometric understanding and examine the connection between geometry and algebra through the lens of analytic geometry. This two-day course focuses on the conceptual aspects of Algebra and Functions for students in high school with an emphasis on strategies and tools to help leverage students’ ways of thinking so they can approach any type of function, work with it, and understand how it behaves. Standards and student needs drive mathematics instruction. This course highlights Math Workshop, a model for organizing standards-based instruction to support all learners in the mathematics classroom. Participants engage in the Math Workshop model of instruction, reflect on how the structures and learning environment leverage increased learning for all students, and create a plan to implement Math Workshop in the classroom. This full-day course focuses on number talks that build conceptual understanding of fractions, decimals, and percentages. Participants learn how to use this routine as a vehicle to focus on the essential understandings of rational numbers and develop a robust fluency. Merging ongoing assessment with instruction engages teachers and students in becoming partners to support student learning. Using ideas from INFORMative Assessment: Formative Assessment to Improve Mathematics Achievement, by Jeane M. Joyner and Mari Muri, this course supports participants’ extension and application of a fundamental understanding of formative assessment for the purpose of promoting student learning. Collaborative, this course helps high school teachers engage students in the rigorous mathematics called for in the Common Core State Standards. Using formative assessment lessons, produced by the Shell Centre in England and the University of California at Berkeley, participants extend and apply a fundamental understanding of formative assessment for the purpose of promoting student learning. This full-day course introduces educators to the theory, structure and focus of Number Talks. As participants interact throughout the day, they reflect on their current practices and target essential understandings about numbers and operations. This course offers teachers of young children hands-on experiences with instructional strategies that promote the thinking and reasoning. Video clips are used to bring teachers into the young child’s classroom to see students grapple with counting and building and dealing with data. Participants have multiple and varied opportunities to consider instructional decisions, differentiation, and assessment. This full-day course provides teachers with a firsthand experience of learning mathematics through problem solving. Through this experience, participants are introduced to approaches and strategies to help students build new mathematical knowledge and use a range of problem-solving strategies. Throughout the course, teachers experience and learn how to provide a classroom environment that encourages students to explore, take risks, and share their thinking. Number sense is a broad concept that covers a range of numerical thinking. This course helps teachers gain an understanding of what number sense is, why it is important, and what strategies they can use to help promote their students’ number sense. Through firsthand experiences, teachers explore their own number sense and are introduced to instructional approaches that promote thinking and communicating about numbers. Samples of student work help connect course investigations to teachers’ classroom needs. This course helps teachers understand what it means to support all students by differentiating three aspects of the math curriculum—content, process, and product. Teachers examine a variety of approaches that help them make instructional adjustments to content, provide activities that address how different students learn, and offer a variety of ways for students to demonstrate what they’ve learned. This three-day course offers guidance to classroom teachers, special educators and math specialists in understanding and supporting children who struggle with mathematics. The struggles that children encounter may be the result of cognitive learning challenges, background and experience, or previous instruction. This is not a “recipe” course, but rather a course on improving instructional practices and helping teachers to be more thoughtful about struggling learners in their classes. In this course, educators examine and choose instructional strategies to help struggling students be successful in regular mathematics classrooms and learn to use a framework of assessments to understand student thinking. Team coaching builds upon and enhances the knowledge and experience of your math leadership team and teachers to help them move beyond the theoretical so they may apply best teaching and student learning practices into the classroom. Job-embedded coaching builds skills and leadership capacity through differentiation. With individual coaching, educators work side by side, enabling them to integrate new skills immediately into their practice. Build leadership capacity with highly customized, collaborative coaching that will guide and support the development of your instructional leadership team. Leaders and Math Solutions coaches will work together to identify instructional priorities, set goals, and develop strategies for overcoming key curriculum and instructional challenges. This course focuses on the disposition, skills, and knowledge math coaches need to support teachers’ understanding and application of new content knowledge and effective instructional practices. Based on current research and Math Solutions’ extensive experience with coaching, participants learn strategies to effectively partner with teachers in analyzing and reflecting on student data for the purpose of enhancing student learning. In this introductory course, participants have meaningful, hands-on or virtual experiences to learn about the organization and design of Into Math. Through direct instruction and guided practice, participants will also experience program resources from both a student and teacher perspective. In the first and second year of implementation, our Follow-Up topics provide additional guidance to deepen mastery, hone teaching skills and build confidence when teaching Into Math. Topics are offered as full-day courses, or choose to focus on multiple topics and choose the amount of time you’d like to devote to each. The Math Solutions Coaching Model is designed to deepen teachers’ math content knowledge and facilitate program implementation for immediate use in the classroom. Our coaches have years of in-classroom teaching and coaching experience and are experts at helping educators plan for instruction that meets the needs of all students while maintaining the level of rigor required by today’s standards. Meet with an HMH Coach in-person, online, or a combination of both and stay connected with them and your colleagues with the Coaching Studio. Using a blended approach, our professional learning creates an experience that is flexible, collaborative, sustainable, and personalized to your needs. In this introductory course, participants have meaningful, hands-on or virtual experiences to learn about the organization and design of Into AGA. Through direct instruction and guided practice, participants will also experience program resources from both a student and teacher perspective. In the first and second year of implementation, our Follow-Up topics provide additional guidance to deepen mastery, hone teaching skills and build confidence when teaching Into AGA. Topics are offered as full-day courses, or choose to focus on multiple topics and choose the amount of time you’d like to devote to each. This course develops participants’ understanding of the research-based pedagogy and instructional strategies used throughout Math in Focus that contribute to increased confidence, competence, and achievement in mathematics. Participants explore the unique program components, engaging learning experiences, and built-in support as they learn to successfully plan for instruction. In the first and second year of implementation, our Follow-Up topics provide additional guidance to deepen mastery, hone teaching skills and build confidence when teaching Math in Focus. Topics are offered as full-day courses, or choose to focus on multiple topics and choose the amount of time you’d like to devote to each. In this introductory course, participants have meaningful, hands-on or virtual experiences to learn about their program’s organization and design. Through direct instruction and guided practice, participants will also experience program resources from both a student and teacher perspective. In the first and second year of implementation, our Follow-Up topics provide additional guidance to deepen mastery, hone teaching skills and build confidence when teaching Math Expressions. In this introductory course, participants have meaningful, hands-on or virtual experiences to learn about the organization and design of Integrated Math. Through direct instruction and guided practice, participants will also experience program resources from both a student and teacher perspective. In this introductory course, participants have meaningful, hands-on or virtual experiences to learn about the organization and design of AGA. Through direct instruction and guided practice, participants will also experience program resources from both a student and teacher perspective. In the first and second year of implementation, our Follow-Up topics provide additional guidance to deepen mastery, hone teaching skills and build confidence when teaching AGA. In this introductory course, participants engage in a variety of hands-on activities to learn about program organization and design. Through direct instruction and guided practice, participants will also experience program resources both from a student and teacher perspective. GO Math! is flexible and has parallel print and digital pathways. No matter what the technology situation is in your classroom, GO Math! has an abundance of resources to keep students engaged and on track. In this introductory course, participants engage in a variety of hands-on activities to learn about program organization and design. Through direct instruction and guided practice, participants will also experience program resources both from a student and teacher perspective. 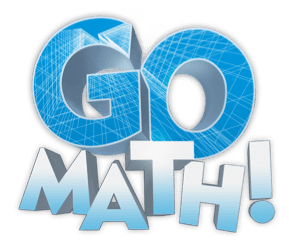 In the first and second year of implementation, our Follow-Up topics provide additional guidance to deepen mastery, home teaching skills and build confidence when teaching Go Math! This Leadership Overview highlights the reasoning behind the Math 180 strategy, provides videos from Math Solutions instructors, unpacks the learning progressions, and allows leaders to view interactive visual models, games, and more. Getting Started with MATH 180, Course I is a two-day course designed to help teachers consider how MATH 180 prepares students to meet rigorous College and Career Readiness Standards. Teachers understand the MATH 180 Instructional Model from the teacher’s and student’s perspective looking closely at the role of classroom discourse to support learning of mathematics. They interpret MATH 180 progress, performance, and assessment data to inform instruction and prepare for the first six weeks with MATH 180. This two-day course helps teachers gain a deeper understanding of instructional strategies and underlying mathematics content embedded in MATH 180 Course II. Teachers learn alternative teaching approaches that engage and motivate struggling students, pace students for success, and bolster their confidence and competence. Teachers learn how to use the dynamic software of MATH 180 and progress monitoring to make informed choices about the instruction as they plan for the first six weeks. This day of professional learning is designed to help teachers understand how both the learning environment and classroom culture impact the differentiated mathematics classroom. They review and interpret progress, performance, and assessment data of MATH 180 students to make instructional decisions that meet the needs of all students. MATH 180 uses models, tools, and alternative strategies to assist students to understand content and communicate their learning. This course is an opportunity for teachers to focus on the mathematical content of MATH 180 through the lens of these tools and strategies, and to learn how to use each effectively to build mathematical understanding in students. Explicit connections to core content support all math teachers in implementing the models, tools, and strategies. This professional learning develops teachers’ understanding of the Do The Math methodology and how it supports students who are below grade level in math. Teachers learn how to support the development of whole number and fraction proficiency for struggling students. Teachers consider what it means to provide intervention instruction as they spend time exploring the program and planning for their first week of instruction. This course deepens participants’ understanding of addition and subtraction concepts and the Do The Math methodology. Participants gain familiarity with lessons and increase their confidence in the use of the eight instructional principles. They explore the Instructional Practices Inventory and consider how it can elevate instructional decisions. This course deepens participants’ understanding of multiplication and the Do The Math methodology. Participants gain familiarity with the mathematical content of the modules and increase their confidence in the use of the eight instructional principles. They explore the Instructional Practices Inventory and consider how it can elevate instructional decisions. This course deepens participants’ understanding of division, and strengthens their own number sense. Participants gain confidence in the progression of learning in the modules and value the importance of fidelity to the program. They explore the Instructional Practices Inventory and consider how it can elevate their instructional decisions. strengthens their own fraction sense and ability to meaningfully compare, add, and subtract fractions. Participants gain confidence in the progression of learning in the modules and value the importance of fidelity to the program. They explore the Instructional Practices Inventory and consider how it can elevate their instructional decisions. Do The Math Now! reinforces the key foundational concepts that are critical for algebra. The year-long course is designed for middle and high school students who need support in addition to their regular class instruction. Specifically developed to address these students’ needs with the basics of numbers and operations, content is sequenced and paced to build understanding and skills. This professional learning day helps teachers get started using Do The Math Now! in their classrooms to meet the needs of struggling math students in Grades 6–10+. Topics include understanding how the structure of the program builds foundational math skills and sequences the content to teach students to reason mathematically, teaching the instructional strategies and lessons, and using assessment data to influence instruction. Fraction Nation targets fractions and decimals – two of the most difficult concepts to teach and learn. Designed to develop the critical foundations of fraction fluency – conceptual understanding and procedural knowledge – Fraction Nation delivers fraction fluency through explicit instruction, extensive practice, and ongoing assessments. Fraction Nation guides students on a journey through sixty-four carefully crafted lessons to build a strong foundation in fractions and decimals – all in a 15-minute lessons. Fraction Nation Getting Started provides teachers with an introduction to the program components of Fraction Nation and provides a foundation for successful implementation. how easy FASTT Math is to implement. This implementation day examines how FASTT Math Next Generation or FASTT Math Enterprise Edition uses technology to help students achieve math fact fluency and provides teachers with the knowledge and tools to successfully get started with the program. Topics include using the Teacher Dashboard to monitor progress, analyzing report data to differentiate instruction, identifying key resources, and differentiation support in the Teacher’s Guide. Math Inventory is a powerful universal screening and growth monitoring assessment that measures math abilities and progress. Mathematics growth is measured on the Quantile® Framework for Mathematics—a scientific taxonomy of over 500 math concepts and skills— placing student readiness and difficulty of math tasks on the same scale. This Getting Started day for teachers, coaches, and administrators provides an overview of the Quantile Framework® for Mathematics, hands-on experience with the software and management system, and practice using Quantile measures to differentiate instruction. Participants learn how to analyze reports to plan instruction and benchmark progress. Authored by Marilyn Burns, Math Reads is a math and literature program for Grades K–5 that develops students’ mathematical thinking, reasoning, and problem-solving skills through engaging lessons inspired by children’s literature. Math Reads Getting Started provides teachers with an introduction to the program components of Math Reads and provides a foundation for successful implementation.